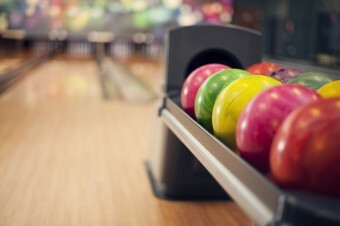 Guy H. asks: Who invented bowling? Bowling has a rather vague history, with a form of it possibly dating back as far as 5000 years to the ancient Egyptians. This story starts with the turn of the century archeologist William Matthews Flinders Petrie, or simply Flinders Petrie. By 1895, he had already established himself as, perhaps, the world’s leading Egyptologist. 18 years earlier, at the young age of 24, Petrie had published his work Inductive Metrology; or, The Recovery of Ancient Measures from the Monuments in which he detailed measurements of Stonehenge. Using those, he made hypothesizes about how, when, and why the strange structure was built. It was one of the first times any archeologist had attempted comprehensive measuring (with estimated knowledge of historical sun and lunar cycles) to establish theories on ancient structures. Nothing seems to be done with any uniform or regular plan, work is begun and left unfinished; no regard is paid to future requirements of exploration, and no civilized or labor saving devices are used. It is sickening to see the rate at which everything is being destroyed and the little regard paid to preservation. In a large grave of a child was found a group of stone balls, etc., shown in VII… Their original arrangement is quite unknown as they were found loose in the earth… The nine vase-shaped stones we thought belonged to a necklace at first; they are cut in alabaster and veined breccia; none of them are pierced for suspension, and they can only stand on their circular flat ends… This leads us to suppose that the nine vase-shaped pieces were to stand on the end, and to played at with the balls, which are just suited in size and weight for such a purpose. Figure VII shows nine pins, similar to bowling pins, and four marble-sized balls. Yes, it looks at a lot like modern-day bowling. So, case closed, the ancient Egyptians invented bowling, right? Well, maybe, maybe not. As pointed out by Archeologist Tucson ExPat and the International Bowling Museum, the notes and figures were actually Petrie’s interpretation of what he thought he had found. For one, all these items were found, as admitted by Petrie, separate from one another. They may have been in the same grave, but it doesn’t mean they were connected in any way besides belonging to the same deceased person. In the end, owing to the lack of much in the way of evidence of the sport elsewhere in ancient Egypt beyond the items in this grave and a few other instances of heavy porcelain balls (presumed to have been used for rolling, rather than throwing, due to their weight), it could have been that Petrie, along with many others across England and the United States at the time, just had bowling on the brain. After all, that same year, on September 9, 1895 in New York City, the first national bowling organization, the American Bowling Congress, was established due to the game’s rising popularity. If bowling’s popularity as a recreational game didn’t date back to ancient Egypt, it certainly goes back at least seven hundred years ago. In 1366, King Edward III outlawed the game because his troops were too busy playing instead of engaging in their archery practice. In 1819, Washington Irving’s Rip Van Winkle drinks the moonshine of men who are playing “nine-pin.” In 1841, a Connecticut law prohibited “maintaining” nine-pin lanes due it’s connection to gambling. As mentioned, by 1895, a national organization was formed to standardize rules and create national competitions. Did the ancient Egyptians invent bowling?